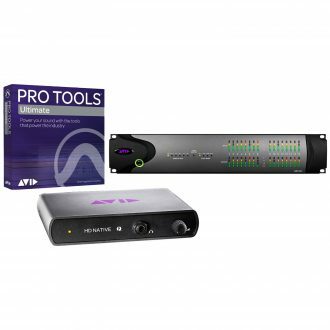 Now you can integrate the ultra-low latency and pristine sound of Pro Tools | Avid Pro Tools Avid Pro Tools HDX Core Card Core Card with 3rd party I/O hardware. Build your own system with Pro Tools as the heart of your DAW. When you’re faced with dozens of audio sources, hundreds of tracks, and thousands of clips, only one system can give you the power to deliver. 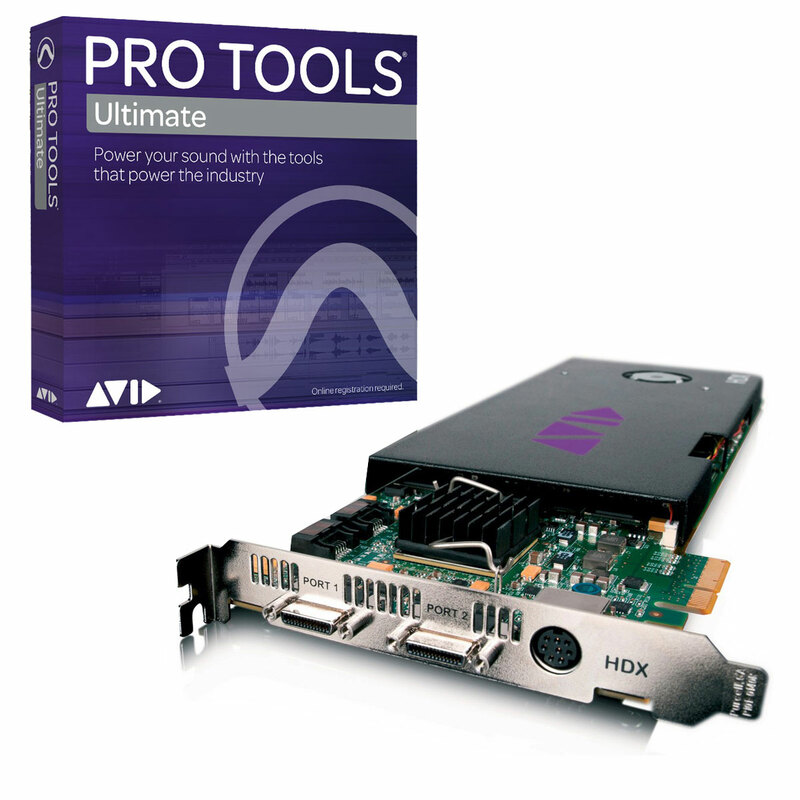 Pro Tools | Avid Pro Tools HDX Core Card. Create bigger, better sounding mixes. Get up to 5x more power than previous generations. And tackle even the most massive music and post-production projects with the confidence that comes with guaranteed performance. If you’re looking for the most powerful, versatile, and best sounding audio workstation used on every major music, film, and TV project, take a closer look at Pro Tools | Avid Pro Tools HDX Core Card. Recording a 100-piece orchestra? Or maybe you’re mixing a soundtrack with thousands of audio clips and effects. Having dedicated DSP, plus the power of your computer too, is essential to handling these demanding sessions. You also can run up to 192 physical ins and outs, and have the power to run volumes more plug-ins. Much more than what your computer could process on its own natively. Choose a single Avid Pro Tools HDX Core Card card system to handle up to 256 audio tracks. 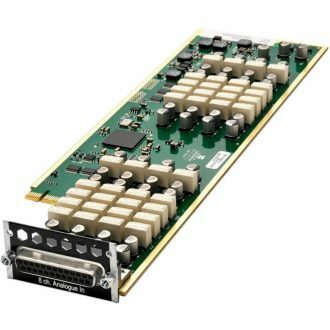 Or ramp up your power significantly with three cards for up to 768 tracks. Capture and play back performances in the absolute highest audio fidelity, with complete sound transparency. 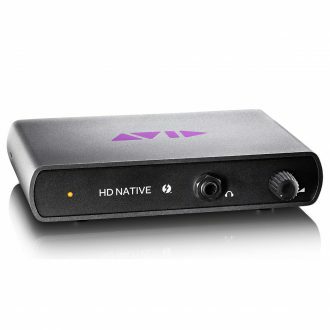 Pro Tools | Avid Pro Tools HDX Core Card comes with your choice of premium PT | HD Series audio interface. Choose one or more to customize the perfect system for your needs. Record analog and digital sources in pristine sound clarity with the fully customizable HD I/O. Track, mix, and monitor up to 7.1 surround with the all-in-one HD OMNI. And capture great-sounding vocal and instrument performances through Pro Tools | PRE. Whether you’re looking to upgrade your entire studio or replace an existing audio workstation, Pro Tools | Avid Pro Tools HDX Core Card is an easy fit. 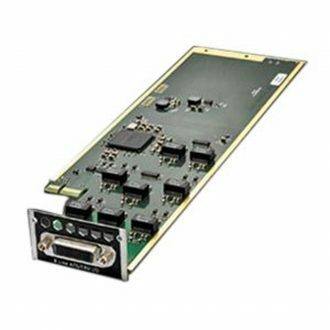 Connect the system into any MADI-enabled broadcast, post-production, or live sound environment through HD MADI. 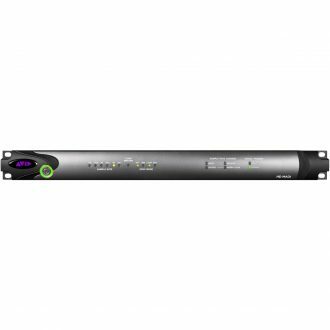 Control multiple Pro Tools | HD systems from a single transport with the included Satellite Link. And keep Pro Tools | Avid Pro Tools HDX Core Card and all other digital devices connected to it in perfect sync with SYNC HD. Today’s moviegoers have high expectations, demanding more bang for their buck. That’s why Dolby Atmos is the hottest thing in cinema and home theater, delivering bigger, more immersive audio experiences to viewers. And now you can get the most efficient Dolby Atmos mixing workflows in the industry—with support for Atmos 7.1.2 audio stems, native object panning, advanced automation, ADM BWAV support, and deep Avid control surface integration—right in Pro Tools | Avid Pro Tools HDX Core Card with Pro Tools | Ultimate (formerly Pro Tools | HD) software. With Pro Tools | Ultimate software included, you can create and mix the largest, most complex productions easily. Record up to 256 audio tracks simultaneously, with near-zero latency. Keep sessions running smoothly with 64-bit performance and dynamic host processing. Experience exceptionally responsive recording and playback performance. And get infinite processing and mix control with unlimited busses and advanced automation. Get access to a wide range of virtual instruments, plus full MIDI and notation tools, to compose the parts you need. Lay down beats with the drum machine, drum samples, or loops. Add real-sounding bass, guitar, piano, and other accompaniments. And layer in a variety of other sounds to build out your song—from orchestral instruments to sound effects. Your creative possibilities are endless. Get the sophisticated tools you need to edit audio and MIDI with precision. Punch in and out of recordings. Change or fix tempo, time, and pitch. Comp together tracks with multiple playlists to create flawless performances. And speed up editing tasks with scrub trim, time compression, and other advanced tools. Experience snappy performance on even the largest projects, thanks to Disk Cache, RAM-based recording/playback, and real-time fades. Instantly keep all channel routing in check with bus interrogation. Work faster with pro-level tools, including Clip Gain, Auto Fades, and Automatch automation. You can even share sessions and collaborate with other audio and video professionals to complete projects faster. Creating music and sound for movies and television doesn’t get any easier. That’s because you have control of both sound and picture. Play and edit HD video and Avid DNxHD sequences right in your Pro Tools | Ultimate timeline. View and edit up to 64 video tracks to accommodate major projects. You can even share audio mixes with Media Composer editors—and vice-versa—enabling easy collaboration. Build up your sonic canvas with access to over 100 sound processors, virtual instruments, and utility plug-ins. Shape sounds with high-quality EQ and dynamics. Create beautiful ambient spaces with reverb. Get the tones of the world’s greatest guitar amps. Design unique sound effects. And fold down surround mixes to stereo with ease. Deliver your final mix on time—with complete confidence. Create everything from mono to 7.1 surround or expansive Dolby Atmos mixes. Mix on the world’s most powerful control surfaces for the ultimate experience. View and optimize your mix using K-system, VU, and other professional metering standards. And with advanced automation tools, you can tackle even the largest, most complex mixes quickly. Looking to get a particular sound? Or maybe you want to round out your studio with more creative options. No need to get out of your chair. 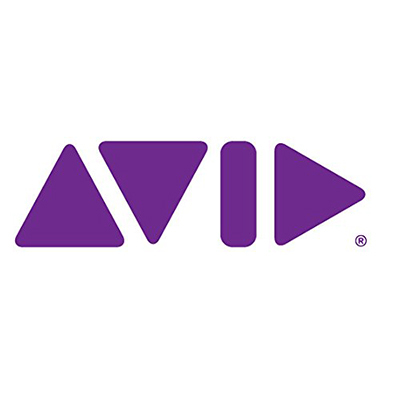 Shop the Avid Marketplace, right from the comfort of Pro Tools—no shirt or shoes required. Find everything from effects and sound processors to software add-ons. Or explore the over 1,000 AAX plug-ins available from Avid and other top audio developers in the Avid plug-in finder. Computers today are more powerful than ever. And many can be used natively to create big, great-sounding mixes. But they don’t have the power to track large-scale ensembles. Or handle mixes with large volumes of plug-ins. With Avid Pro Tools HDX Core Card, you get dedicated DSP power to run Pro Tools and your plug-ins, plus host power too. Each card can also handle 256 voices—that’s 4x more than HD Accel. And more than what your computer can probably handle, freeing you from technical worries, so you can be more creative. Got an old TDM system? Get up to 5x more power per Avid Pro Tools HDX Core Card card than Pro Tools | HD Accel so you can do more with less expense. Create huge sessions with up to 768 audio and 512 instrument tracks. 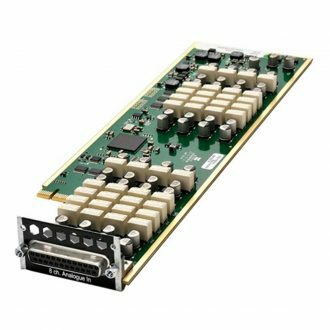 Double your ins and outs with up to 64 channels of I/O per card—or up to 192 I/O channels with three cards. And handle large plug-in-heavy mixes easily with 4x more Automatic Delay Compensation. Need more tracks and inputs? Take on the most demanding sessions by simply adding an extra Avid Pro Tools HDX Core Card card or two to your computer and go from 256 audio tracks up to a massive 768 with three cards. 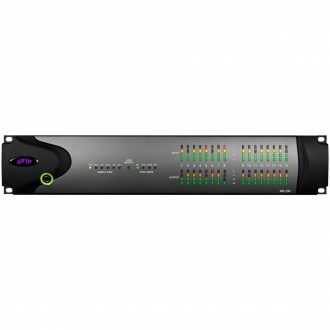 You can also add more inputs and outputs to your setup as your needs or business grows—up to 192 channels. Pro Tools | Avid Pro Tools HDX Core Card is completely modular, so you can create the perfect rig for what you do. Connect your choice of Avid and/or third-party analog and digital audio interfaces. Work on a Mac or PC. Mix on your full system or on the go with just a laptop. Integrate into broadcast, post-production, and live sound environments with MADI. And sync your entire studio together as one with included Satellite technology to get the best sound possible.